Goodness, it's been a crazy year. It's interesting how the slowed-down-ness of this almost-summer is allowing me to take a deep breath. I am so looking forward to a decidedly laid-back June, July, and August, with only a family reunion on the calendar, and plenty of trips up north for mornings of coffee on the dock and nieces and nephews perfecting their waterskiing skills. In some demented way, I thrive some off the frenzied schedule that is life right now. The adrenaline forces me into a schedule, a routine, always in drive. It's been too much this year. I'm feeling the need to slowly apply the brakes, slow, breathe, laugh, and enjoy. There's been a lot of sadness this year, and joy and accomplishment too, but lots of emotion, which makes me tired. In August, we learned we had a very short time left here on earth with my favorite uncle. His funeral was - yes - the celebration of a life remarkably well-lived, but brought such sadness because his time on earth was cut so short. 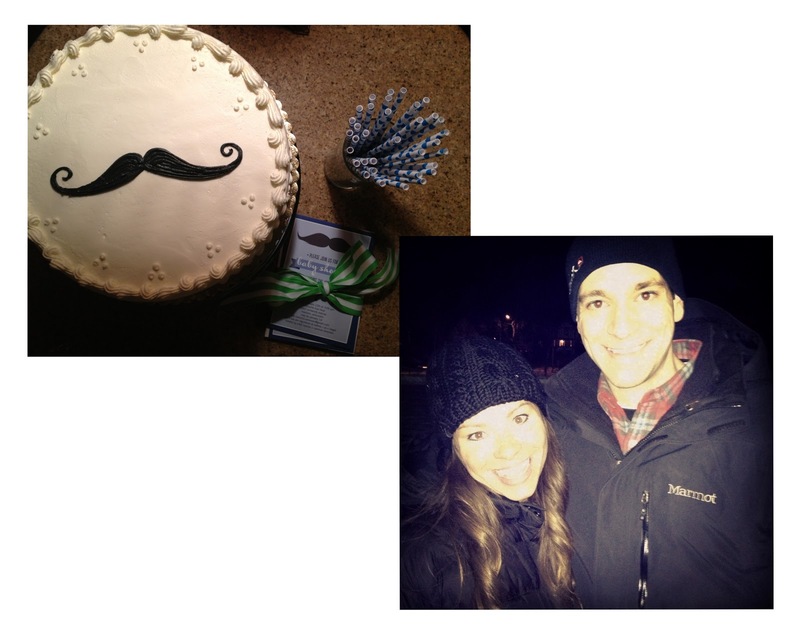 On that same day, we celebrated Chris' 30th birthday. The juxtaposition of a loss and a celebration of another year of life on the same day was not lost on me. 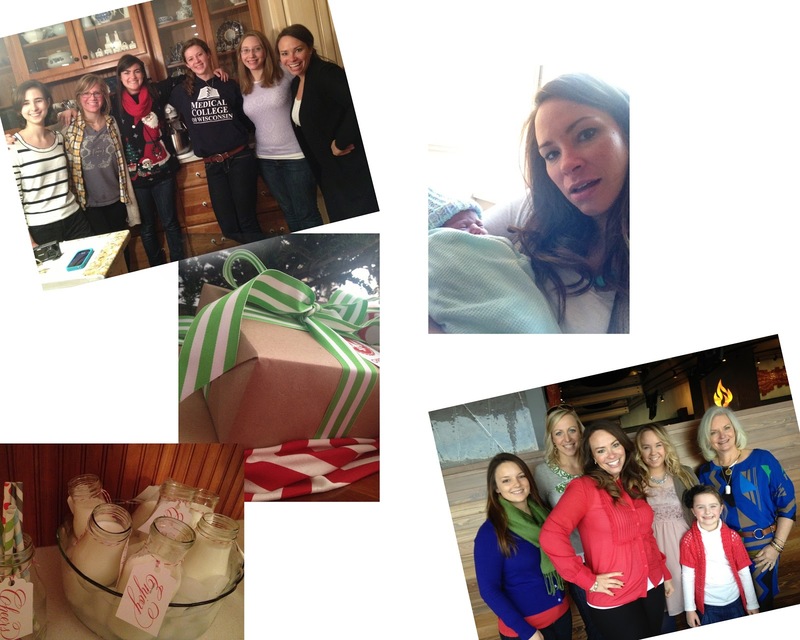 October brought my first blogging conference, and I found such affinity with the women I met there. My people, I thought. 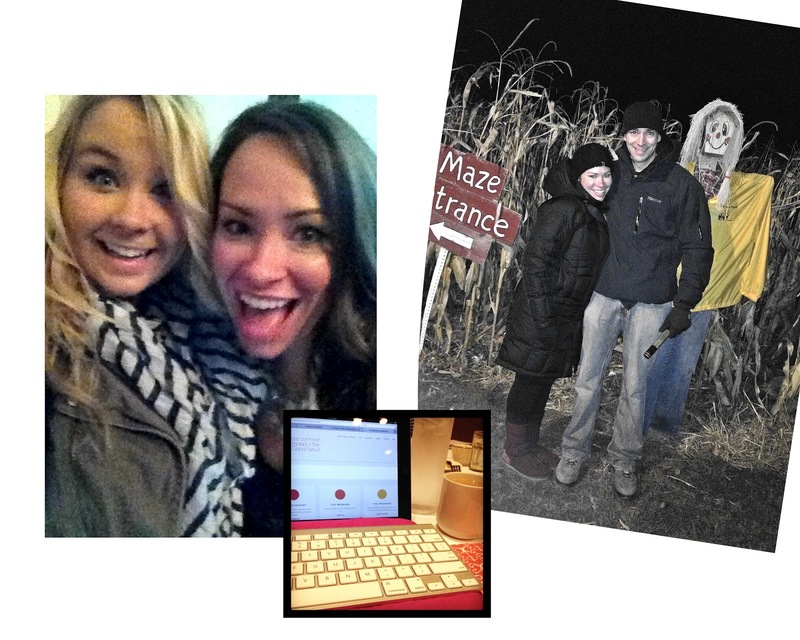 A couple of weeks later we celebrated my 31st birthday with dinner at the diner and a corn maze with friends, which is one of my favorite ways to mark my autumn birthday. Late one night in November, I got a call from E letting me know her mother in law had passed away suddenly and unexpectedly, something no one was prepared for. It was a blow and took the wind out of all our sails. Six weeks later, we celebrated the birth of what would have been her fifth grand baby, irony echoing in all our hearts. We celebrated Thanksgiving in Michigan with my mom's family, and I saw my grandfather one final time before he joined my uncle in heaven six weeks later. We're all sure there was a reunion like no other when he made his heavenly entrance. A couple of weeks before Christmas, there was a Christmas cookie baking extravaganza for my life group girls in my mom's kitchen. Her restaurant-style double-oven, double-dishwasher, double-sink kitchen layout lends itself to lots of room for kitchen adventure. All five of us kids and our respective families and pets (a total of 12 of us + one dog - and only one of my siblings has kiddos!) were in town for Christmas at mom and dad's, and us girls enjoyed our second-annual Favorite Things gift exchange. January brought a new level of urgency to planning for All Dressed Up. Sponsors to confirm, logistics to hammer out, committee members to thank. Grandad passed away on January 14th, and I've never felt such loss. It was great to breathe in the support of family at that time… these are the only people who get what a great loss is felt in Grandad's death. In February Nikki and I had a baby shower for Jen, and baby Liam arrived a few short weeks later. We helped Jen and Joe move in right next door to me just before Liam was born, and now I have two sets of good friends who live within a parking lot's distance of my doorstep. For Valentine's, Chris and I went ice skating outdoors. It wasn't typical Wisconsin-in-February cold, so we stayed out for a long time, enjoying watching the other valentines and the kiddos with their wobbly knees and snow pants. March arrived with a vengeance, and if things hadn't gotten crazy yet, they certainly were about to be. All Dressed Up came and went on March 16th, and we saw almost three hundred young ladies walk out with lovely dresses to wear to their respective proms. What fun to see those smiles. We partnered with a zillion hair and makeup stylists, as well as a DJ, so the girls would have plenty of things to enjoy while they waited for their turn to shop. 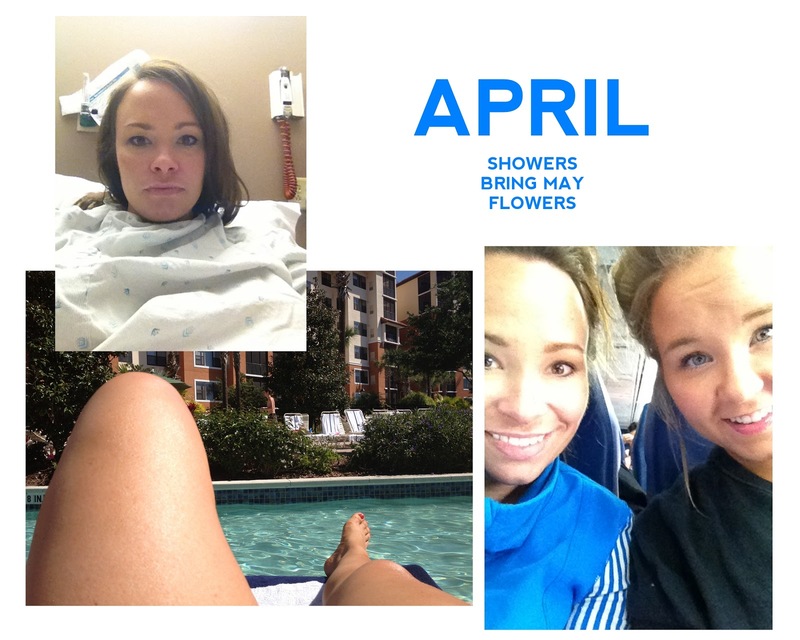 April brought a trip to Florida for Mollie and me, then a few weeks later, shoulder surgery for me. I went back to the gym for the first time post-surgery today, and I was surprised I hadn't lost all level of fitness. I made it through an entire spinning class, and didn't even fake turn-the-dial when the instructor encouraged more intensity - more - more. Chris' little brother got married at the end of April, and I will give you advice. Don't get surgery a week before you're going to a wedding. Stitches are black. Dresses for weddings are strapless. As I sit here in the oil-change waiting lounge, snapping up their wifi, writing, I think of my little brother who's sitting for the MCAT today, and Chris who's studying feverishly for a very difficult professional certification exam he'll take in two weeks, and my sister-in-law, whose graduation from dental hygiene school (I swear this is her third degree) we'll celebrate with an outdoor party this evening. I sing tomorrow at church, and next weekend is Memorial Day, and we'll head up north to celebrate my dad's 65th birthday. And after that I'll sit awhile, on my porch, with some iced tea. And I'll stay there until I'm itching to get back at it again. What about you? Are you ready for the cleansing breeze that summer brings?